Hire licensed professional bartenders for your wedding, private party, marketing campaign or corporate event! We are fully insured, professional, and help you with every detail. Serving all of WA State. The ONLY professional bartending service certified by EnviroStars in Washington State! We provide the expertise, equipment, and licensed bartenders - you bring the guests! A Seattle-based company serving all of Washington and Oregon. 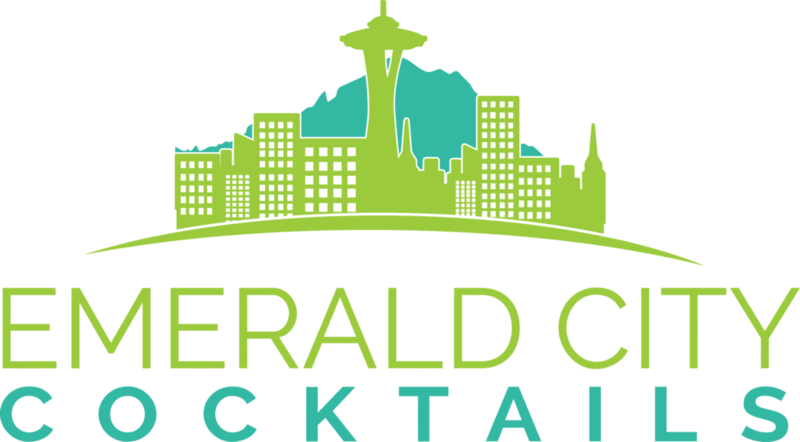 At Emerald City Cocktails, you can hire professional bartenders for weddings, office parties, holiday gatherings, alcohol marketing and brand ambassadorship, graduations, barbecues, sporting events, fundraisers, galas, birthday parties, and any celebration that you want remembered fondly. We are fully insured, we can setup our portable bars anywhere, and our engaging bartenders have decades of experience. We are here to help you craft the perfect cocktail menu and bar offerings for your special event! We help you plan your beverage service from start to finish, we travel all over Washington State and Oregon, and we can work at any venue, public or private. Our professionals are state-licensed for alcohol and food service and arrive on time with a friendly attitude. Whether you are planning next year's wedding or have a last-minute celebration, Emerald City Cocktails has you covered. Contact us today! We are happy to answer all of your questions and provide you a free quote. We can bartend events of any size, at any venue, in Washington State. Weddings, parties, promotions, corporate events, and more! Contact us today! Let's talk about availability, cocktails, menu planning, and whatever else you need to make your day legendary.